Paul Anderson | Amazing Lookalike! On the left is Paul Anderson, Professor of Biblical and Quaker Studies at George Fox University. 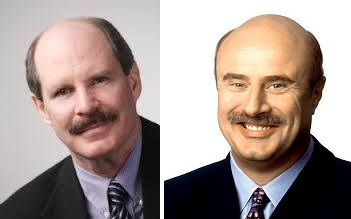 On the right is Dr. Phil McGraw, presenter of the television show Dr. Phil.